And add some hand quilting with perle cotton! Looks fabulous...and those buttons are amazing! Your post made it lovlier! I love some of those lines from Just Wing. I didn't know it was out in yardage- I definitely want to pick some up. Happy Sunday Sewing! So pretty! :) and those buttons are beautiful! 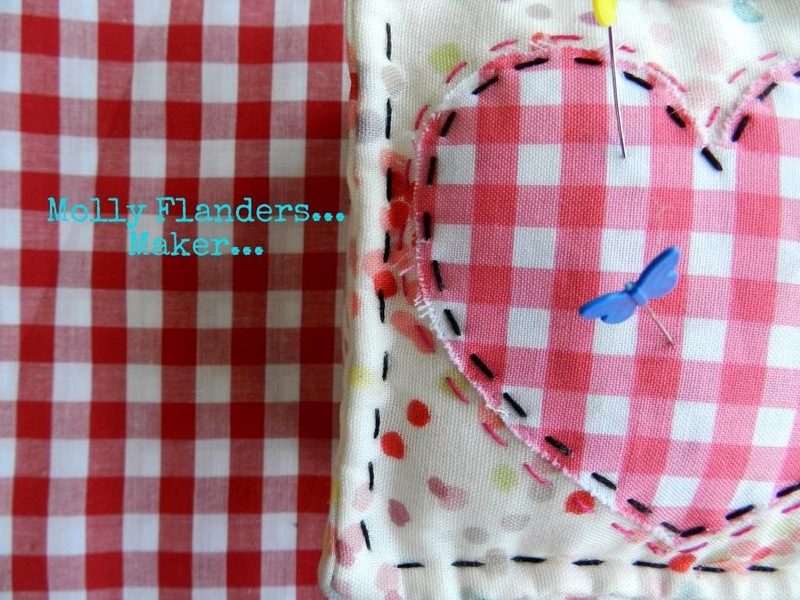 Oh how I love finding a quilting/sewing blog and yours is no exception - beautiful work, love it! Oh, they are such pretty fabrics in some of my favourite colours- pink and turquoise! I can see why you couldn't resist them! And those buttons! They have a wonderful vintage feel to them. Your quilt is looking good. Love the buttons. Hugs. Love the fun little purchase. I used to work for a fabric store in California and it was the love of my life...I never made any money at that place...just turned it over into wonderful fabric!! what a lovely collection of fabrics and the buttons are fab! A bit of everything I love here, those buttons are drool worthy. Those fabrics and buttons are beautiful. Can't wait to see the finished pillow. I have a question. I noticed that a lot of your quilting is in fairly large stitches. I like the idea of hand-quilting, but haven't been able to master those teeny little stitches, so your method really appeals to me. Is that a new trend & what kind of thread do you use? Can't wait to see what you do with the Just Wing It prints! And those buttons are awesome! Love that combination of fabrics/buttons. How lovely to bring your work home with you!